Today is all about Purse Organizing. 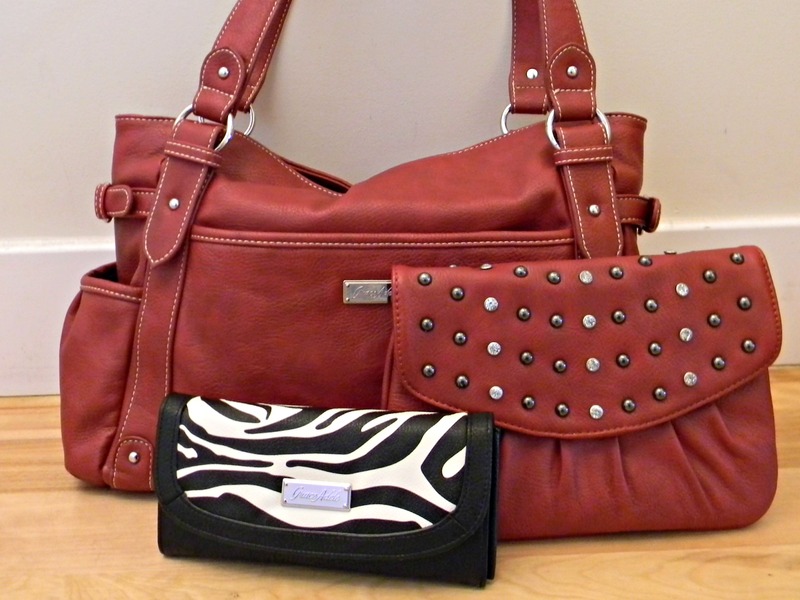 It’s time to clean out the deep dark crevices in the bottom of your purse and get it organized once and for all. 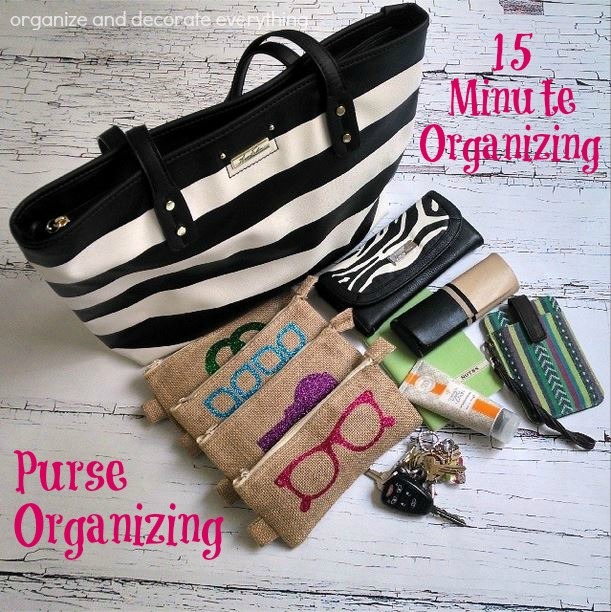 When your purse is organized you can find what you need in seconds. Raise your hand if you like spending time looking for things. I didn’t think so! I made pouches to divide items inside my purse and make it easy to find what I need. The little burlap pouches are only $1 each and I added the details with vinyl. By having a place for everything it makes it nearly impossible for my purse to become a dumping ground for random things. Clean all receipts out of your wallet at least once a week. Place them in envelopes or a file until the statement comes so you can compare them. Clean the random things out at least once a week. I usually end up with a toy or two lurking in the bottom of my bag. I keep a small ziploc baggie in my bag for food wrappers or other small pieces of garbage. My kids are always handing me something. Make it easy on yourself and choose bags with several pockets and compartments to keep things separated and organized. I love the inside of this bag (the design and the compartments). 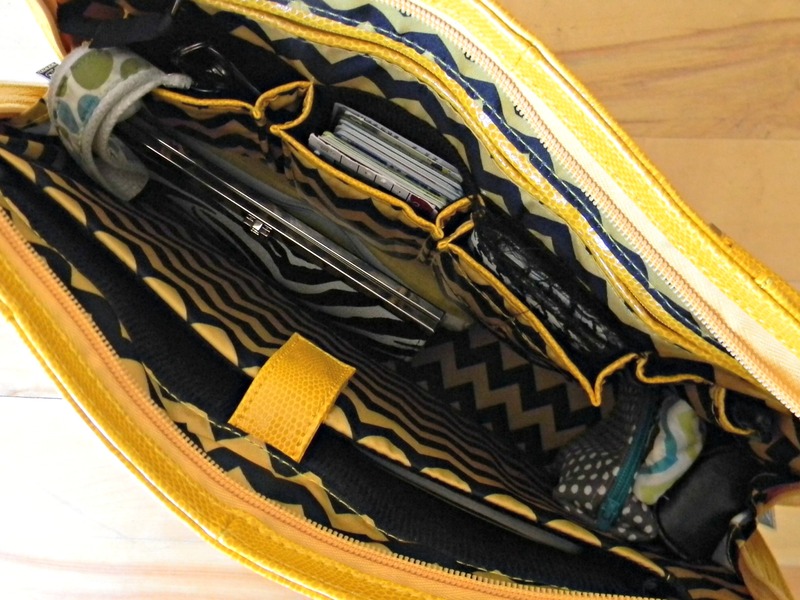 Do you have a trick to keep your bag organized? Where did you find the burlap pouches for only $1? Loving this series! I wanted to know where you got your black and white purse in the first photo? Thanks again for a great series! I like the $1 pouches too. Did you put the pictures on the outside of them or did you buy them that way. Where did you buy them? Thanks for sharing! I would love to know where you found the burlap bags for $1 too!! I found them at Target. Michael’s also has similar ones.